Just yesterday I had an Ove (pronounced Oooo veh) moment. For those not getting the reference, I refer you to the recent movie A Man Called Ove, a gourmet meal or better, the book a weeklong feast of tears and laughter. The moment occurred as I was driving down Femrite Avenue in front of our residence. A car pulled out from a side street in front of me, barely slowing down at a stop sign. It sped away up the hill far above the limit. Stopped by cross traffic, I was able to pull up behind and note that it was a Volvo. I couldn’t hold my laughter. Ove would have gotten out to harangue the driver about rules and respect. As he would have said, the fact that the man was an idiot was already proven by his choice to own a Volvo in the first place. Ove had a passionate loyalty to SAAB. Though this is not a story about Ove, I highly recommend the book as one of the finest I have ever read. Auto-loyalty is a strange phenomenon. My birth family owned in my memory: a 1949 Chev, 1954 Chev, 1956 Chev, 1959 Chev, then switch to 1964 AMC, 1965 AMC and 1968 AMC. I remember, as a ten-year-old, crying when we traded the 1954. The old psych classic GAMES PEOPLE PLAY described a relational game “General Motors” where men (not women) compare models at length. It is disturbingly common to have such emotional attachment to a hunk of metal. This is a story about automotive loyalty, if not as over-the-top as Ove (I will consider drivers of other brands as friends). Exactly half of the vehicles I have owned have been Volkswagons, including the last seven purchased. The last five have been from Zimbrick here in Madison, where we have developed friendships with everyone from sales to maintenance. We swap personal as well as motorized information, and we look forward to the happy hello when we arrive. The two vehicles we currently own have been the best. They are comfortable, high-performing, giving excellent mileage, and having low impact on the environment. Riiight. This love affair came to a crashing halt in July 2015. 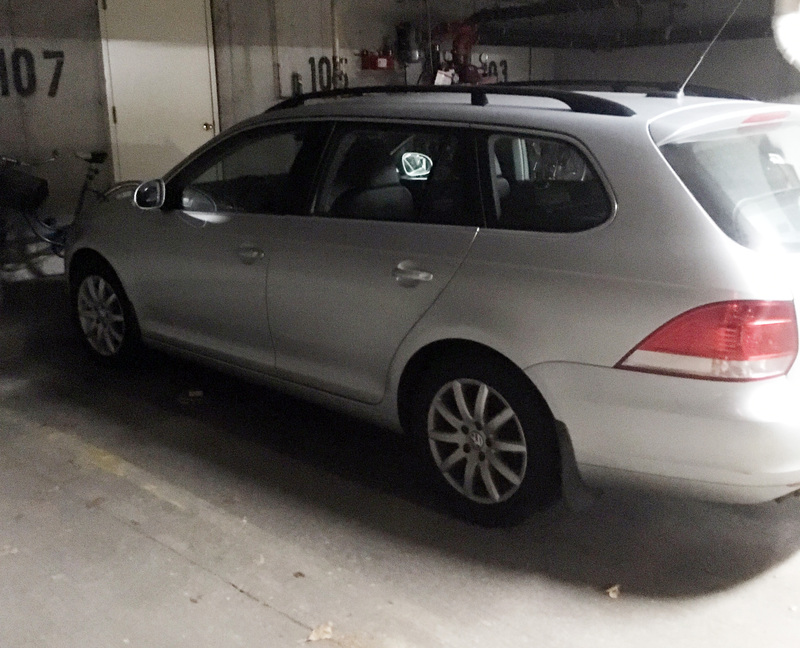 Our automotive-studying son sent us an article about a scam the VW had been running since 2009. They had been marketing “clean diesel” cars that met the strictest of emission requirements while maintaining mileage and performance. Care for the environment is central to our value system from thermostat setting to food choices. They had us, especially after owning and liking three other not-so-clean diesels. The Jetta was bought in 2009 and has carried us to weekly visits to Sparta while Kaye’s mother needed us, multiple visits to New Orleans and Washington, DC, and a long trip west. It has been a truck carrying lumber for home remodeling and a shuttle to pick us up at O’Hare. We have listened to books, carried on deep conversations, and included it in some of the great enjoyments of our life. 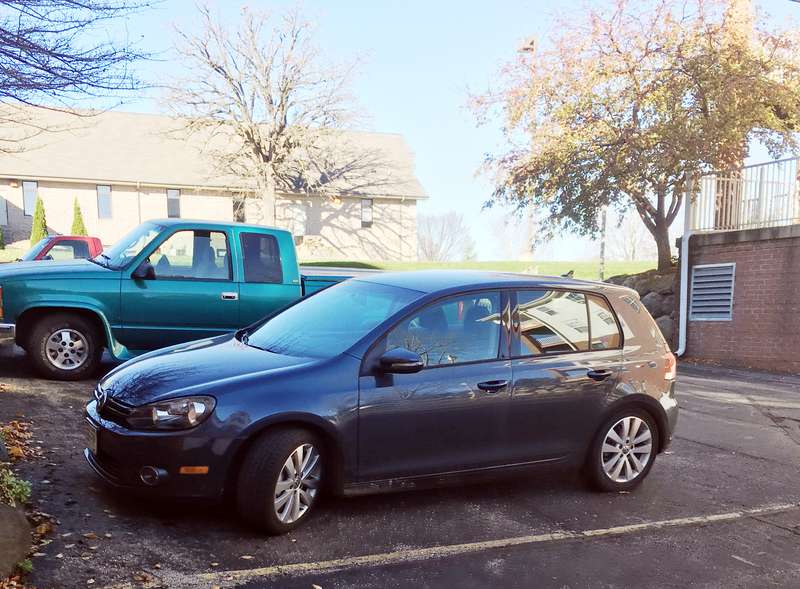 When our 1999 diesel hit 190,000 miles and developed needs, we sold it and bought a 2013 Golf, reminding us of fun days in our two Rabbit models. The performance and mileage are over the top. It is maybe the most fun car ever. The promise of “clean diesel” was a lie. The vehicles are far from conforming to emission standards, spewing out as much as 40 times the limit on some materials. Engineers had rigged the computer system so the car could detect when it was undergoing an emissions test and feed inaccurate information to the testers. In other words, VW is a cheat. Early days, there was speculation that the problem would be solved with a computer modification and treated as a recall. All would be well in a few months. Our contacts at Zimbrick were equally optimistic. They felt as betrayed as we did. One employee is a descendant of the original VW dealers in Madison, Bruns, with over 60 years of ethical heritage. He was almost tearful. The news got worse and worse, as executives resigned, with very golden parachutes. To date, only one lower-level engineer has been prosecuted, accepting a plea-bargain. We are left to wonder how many knew of the scam, who ordered it, and how could profit be put ahead of the well-being of the world? (Isn’t that a naive question?) Class-action lawsuits proliferated, and several states joined in a common action adjudicated in California courts. Where is the justice. The most cynical move was a gift from VW of $1,000 to the owners of each car. Half of it could only be spent at VW, and had to be used within a year. It didn’t do much to make us like the situation any better. And we keep violating our values and hurting the world. It also became clearer and clearer that there was no easy fix, and no hard fix either. Clean diesel will not be achieved. A half-million cars go on and puking into our air. In June 2016, a year into the process, a tentative agreement was reached with the courts in California. VW will pay the state many millions in fines for violating emissions laws. Other states are still negotiating penalties. VW will give each owner $3,000 plus a percentage of the value of their vehicle. If they want to keep their car, VW will additionally fix the emissions WHEN A FIX IS APPROVED. For those not wishing to wait, VW will buy their car back, at the book value at the time the scam was revealed, plus the penalty and percentage. This turns out to be a generous amount. So, ready to go? Not so fast. The agreement has to be commented on by owners for a month. Send thoughts by email. Then the court has to think about it some more, but allows owners to go online to get their cars in the queue for buyback. So, wait to hear from VW later. October 18 the agreement is finalized and last steps in registering documents can move ahead. A week later, we have received six copies of a letter inviting us to go on the website to register. What amazing inefficiency! We have done the paperwork, bought a car to replace the two, pay insurance on all of them, and wait some more. VW in some future time will offer an appointment to return our cars and receive a check. It has been a surprise to experience this great depth of emotion. Loyalty betrayed feels very hurtful. Very hurtful. Grief has emerged as we took our last trip in the Jetta, and parked it till the buyback. There could have been more enjoyable journeys. The Golf has less than 25,000 miles. What a waste to turn into junk. We now just want it to be over. We did not buy a gas VW. But many have. Eventually, 480,000 vehicles will have to be replaced, and people have been anticipating and accepting deals offered in advance by VW. Zimbrick ran out of 2016 models in August, and can’t keep up with demand for 2017s. Irony, VW has record sales in 2016. This is a story a long way from the end. Mr. Ketterer, Your testimonial piece is well crafted. It pulled me in. About half way through I was really rooting for you and your fellow VW owners. I wanted it all to come out OK. I wanted VW to stand up and do right by its “loyal” customers. It may yet, but at the moment not so much. I’m still skeptical. Sadly it is yet another heartfelt chronicling of David in Goliath’s marketplace. Back to crafting. In a relatively short piece, you touched on everything I’ve mentioned above without whining or playing the poor me card. It is a credible piece and I hope in the writing of it you found it somewhat therapeutic! Be sure to share the denouement if any of us live long enough to see it.